This is one of the gates in the sandstone walls that surround St Leonards School in St Andrews. Like many old walls in the town it is most likely built using the stone from ruined St Andrews Cathedral. The “turrets” look to be purely for asthenics rather than function. 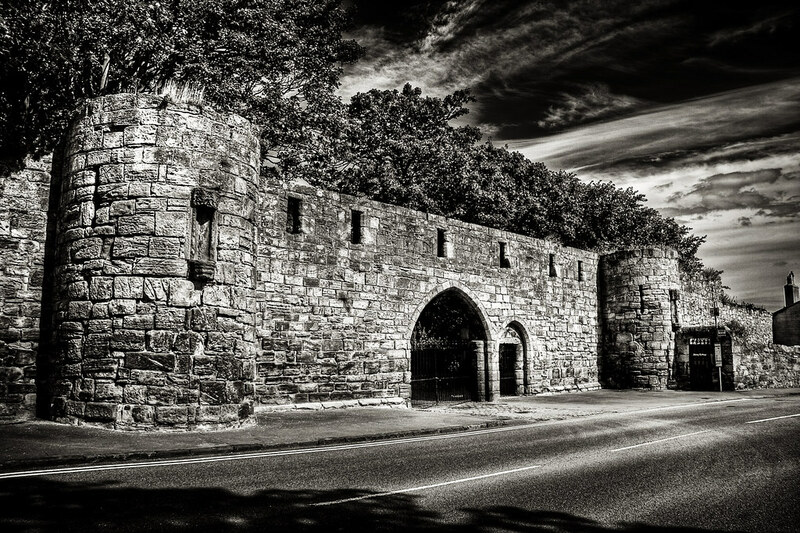 This entry was posted in Medieval, Ruins, Scotland, St Andrews and tagged clouds, fife, hdr, Medieval, Scotland, scottish, skreid, sky, St Andrews, street, town, urban, wall. Bookmark the permalink.